1560 - Olivia Gardiner - A2 Media Studies: Evaluation Task 3: What have you learned from your audience feedback? Evaluation Task 3: What have you learned from your audience feedback? 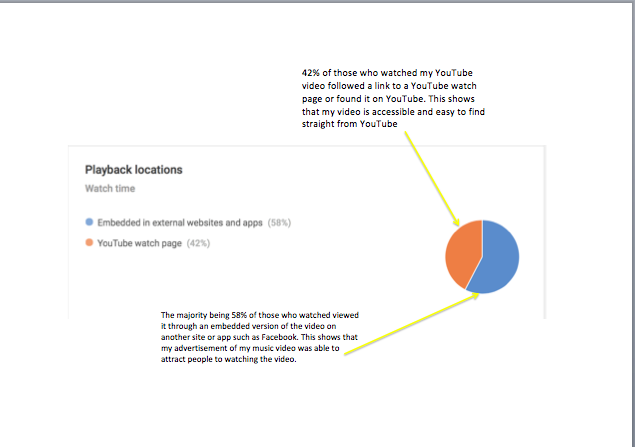 These are the analytics that I have collected from YouTube about the viewing of my music video. I have annotated these with more information and analysis of what I have learnt from them. This is the audience feedback that I have received and an explanation, justification or observation of what I have learnt from it. I have learnt a lot from the audience feedback that I have received; most of it has reassured me that my music video has been effective at portraying the storyline. The editing I chose to use as well, such as stop-motion, slow motion, sped up and the filters I used have also been recognised and appreciated. For the future I have also been given some constructive criticism such as the fact that I may have wanted to include some more lip-syncing shots. I was also given the suggestion of given one of the versions of the woman a different filter to help distinguish between them. Most of the advice is minor and subjective to personal opinion. 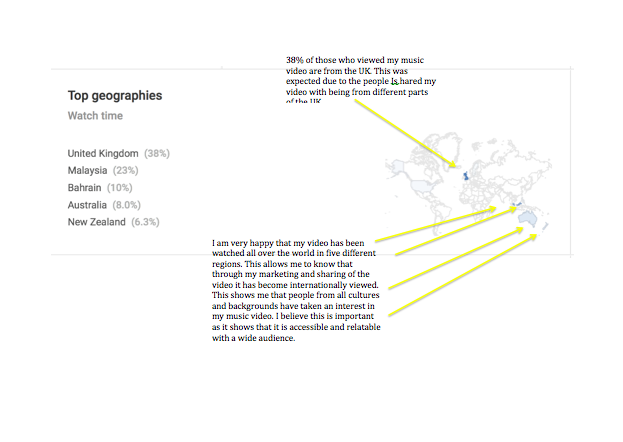 I have taken this feedback onboard and will keep it in mind next time I make a video, especially if it is a music video. 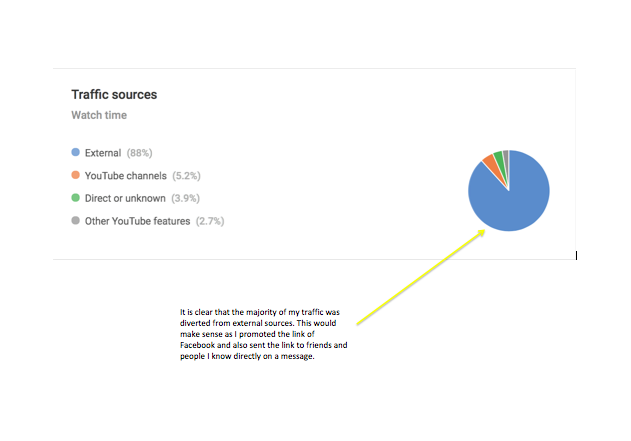 I got two people who take media studies to give me some extra verbal feedback on top of my analytics and written feedback. I believe that since they are both media students they know what to look out for and so will give an honest and technical view on my music video. 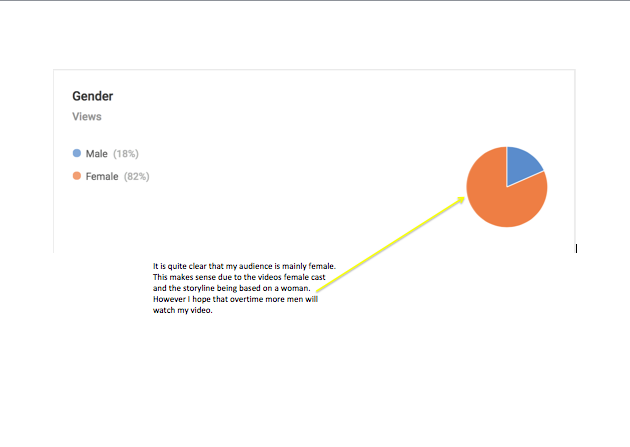 This adds to the variety of feedback that I collected.